Outbreaks have been officially reported. 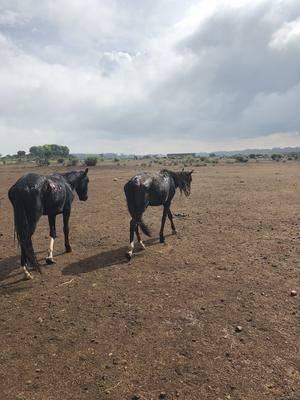 Outbreaks of African horse sickness (AHS) in Gauteng and Mpumalanga have been officially reported to the agriculture, forestry, and fisheries department (DAFF) in February and March 2019, the department said on Saturday. In most of South Africa, except for a part of the Western Cape, AHS was endemic and the area was known as an AHS infected zone, the DAFF said in a statement. Unfortunately, outbreaks of AHS were expected to occur in the AHS infected zone from November to May, often with a peak from February to April, depending on climatic factors such as rainfall and temperature. Certain parts of the Western Cape had been legislated as AHS controlled areas in terms of the Animal Diseases Act and these areas were generally free of AHS. Outbreaks of AHS in Gauteng and Mpumalanga were officially reported to the DAFF in February and March. However, there was currently no conclusive information indicative of unusually high incidences of AHS outbreaks for this time of the year. No outbreak had been reported from the AHS controlled area of the Western Cape. “Restrictions on equid movements within the AHS infected zone are not routinely implemented by state veterinary services because this would be almost impossible to control and would be seen as unnecessarily restrictive by the majority of affected horse owners. The fact that the disease is transmitted by flying insects (midges) also makes restriction of horse movements less effective in the control of the disease,” the department said. DAFF was working with the equine industry on protective measures for horses in the AHS infected zone with the aim of reducing the severity of AHS outbreaks, while being neither too restrictive on the movement and trade of equids within the AHS infected zone, nor too onerous with regards to the administrative and financial burden of all role-players involved with equids. The Animal Diseases Act required that owners and managers of animals take all reasonable steps to protect their animals and prevent the spread of diseases from their animals. The movement of equids infected with the AHS virus may increase the risk of AHS to other equids and should therefore be limited. “Report any case of AHS or suspected case of AHS to your local state veterinarian immediately,” the DAFF statement said.